‘In Conversation’ presents select conversations Hardik Vachhrajani had with media and students. Areas : Politics, Business, India, Geopolitics, Governance, Policy, Management and more. Do you think Narendra Modi would be interested in copying the growth model of China? Which promises were made by the Chinese government during his visit in China in November 2011? Do you think that it is an advantage for Gujarat to have good relationships with China or might this be a problem for the coming national elections in 2014, since this relationship could be seen critically? Also one of the biggest Buddha statues will be built in Gujarat. Could this be a signal for conciliation (Indians with all confessions) or does Gujarat want to court for attention with China and Chinese investors? After USA rejecting visa, Narendra Modi has received warm reception from China. Modi is seriously looking at investments coming from China. During November 11 visit Modi managed to finalised memoranda of understanding worth about $500 million, with many companies dealing in electronics, power and other sectors. The highlight of the visit was the investment in Gujarat by Chinese energy company TBEA. Modi’s government has been discreetly facilitating Chinese investment in a businesslike manner. In Mundra, Kutch, a Chinese colony was set up in an exclusive zone where Chinese labours and engineers worked towards setting up a power project. Gujarat is also offering Chinese investors prime land along the industrial corridor in south Gujarat to set up manufacturing units. For Gujarat it is good that it is attracting investments. Though, in Modi’s last visit, government of China largely played the role of the facilitator and nothing more. In India, all foreign investments need to be cleared from Delhi and has to pass through number of channels which are centrally controlled. This makes it very difficult for a state to create its own investment mechanisms. This is an integral part of India’s fedral strcutre. Though, states can have their windows in terms of providing lands at subsidized rates etc. Modi is trying to use the same window which he has to establish himself as an ideal chief minister of an entreprising state. This is not likely to have any major impact on Sino-India relations. There is a strong consensus on both the sides that there needs to be more business between both the countries. Business and political issues are largely kept seperate by both the parties. Building of Buddha statue will be part of attracting growing number of Buddhist tourists in India. Almost all states in India which have Buddhist sites are actively trying to attract Buddhist tourists. There does not seem to be any corelation of this with the investment from China at the outset. Another key political objective of the move could be to attract attention of Indian Buddhists who come from bottom of India’s caste structure. 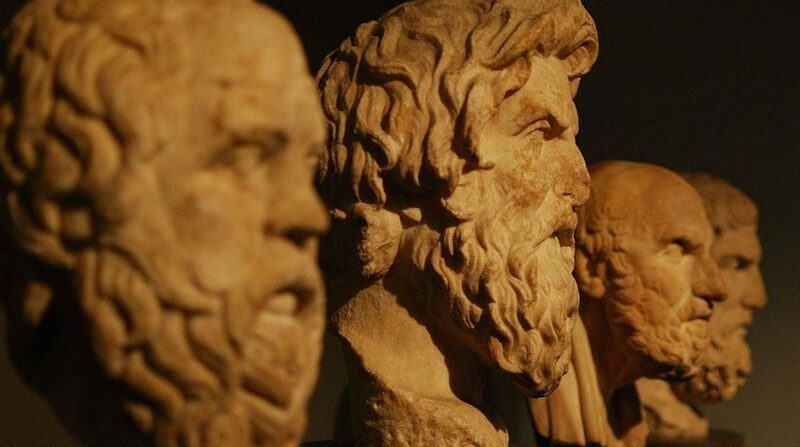 Are there forces (economical, political etc.) against the company Kuokuang Petrochemical Technology Co. Ltd. from Taiwan to get settled in Gujarat? They want to build up a Naphta Cracker. There isn’t any strong opposition to the project from Gujarat, though; the start up of the project is kept on delayed. There seems number of possible factors. — Central government looks little vary of such investment as the area is largely dominated by PSUs. — Local opposition in Gujarat as well at national level is now fighting very hard with communities to make sure that communities get the fare share in the deal. There are environmental implications of such plant and Gujarat is already not well respected as environmentally friendly state. It is a widely perceived belief that in Gujarat environmental rules are not strictly adhered. Gujarat government has also woken up to the challenge. Environmentalists believe that Saurashtra coastline is very badly contaminated because of chemical plants in the region. This has led to decline in fish cultivation. This leads fishermen to go into the high seas and they unknowingly get into the Pakistani waster, which creates regular diplomatic friction between India and Pakistan. — From the company side also there is thinking happening. There are credible news that company is also considering other locations in China and Malaysia. — All these issues along with contrasting investment signals sent from Delhi (retain FDI fiasco) is making the project delayed. The traditional handcraft KAMINA seems to constrain the entry of technical and industrial work in several Indian states. Reason seems to be that some of the work is considered as unclean resp. not appropriate for the own caste/social level. Many people think due to this attitude India still has a low industrialization in this sector in comparison to the service sector e.g. which is really highly developed. This phenomena could result out of the not existing acceptance for technical education/training resp. a training in industrial sector. How prevalent is this attitude within the general public? Is it possible to escape from the KAMINA problem? If yes, which role would the urbanization play? And which role does the topic “creating new jobs” play? At the same time, in a large and diverse country like India, it would be unfair to generalize such patterns. We can see number of crafts where technology is very successfully been adopted and quality of life of craftsmen have actually improved. ‘Khadi’ is one good example where by technology has led the growth. Resistance and fear of change in Indian craftsmen is same as it would be in any other country. Though the wealth of the middle class (especially of those living in the big cities) is increasing the significance “middle class” does not grow as fast as their wealth in the Indian economic policy . Reason could be that the majority of the population lives in rural areas and the elections are still being decided there. Hence the manifestos of the parties will address the needs of the population in the rural areas. The frustration potential of the richer middle class and higher might rise. Through the HAZARE protests the resentments of the middle class came out for the first time. Is this assumption correct? Does Delhi want to seize the problem, that ¼ of the electors who are responsible for approx. ¾ of the wealth of the country do not feel represented in the policy? Which risks do exist in and with this situation? Who is going to act how? (e.g. Delhi, politicians in the several cities, are the politicians going to include the needs of the middle class in their economic policy)? India’s economy has boomed in the past 15 years, but in many parts of the countryside that has made little difference. In the cities, the manufacturing and services industries have grown by about 10 per cent a year in recent years, whereas agriculture has lagged far behind with a growth rate of just over 2 per cent. Of course, it is difficult to generalise about a country as diverse as India, and there are some signs of new rural prosperity, such as increased sales of mobile phones. But, in many places, villagers still feel they have been left behind. On the otherside, Indian cities are becoming conjusted and almost unliveable. They lack even basic infrastructure and because of rising urbanization, the demand is increasing and prices are touching the skies. Indian cities like Mumbai, Bangalore and Delhi have crossed even the basic benchmark of affordability versus the income. A number of economists, concerned by this growing gulf between city and countryside, have urged successive Indian governments to remove water, electricity, fertiliser, wheat and rice subsidies in rural areas. They argue that these subsidies tend to only benefit wealthier farmers, and that the whole system has been corrupted. However, and contrary to the advice of most free-market experts, the current government enacted a flagship piece of legislation in an attempt to reduce poverty by increasing government spending. The legislation, known as the National Rural Employment Guarantee Act (NREGA) of 2005, is staggering in its ambition. It guarantees every rural household at least 100 days of work a year, and is applied to the whole country since 2009. There are charges of wide spread corruption in this schemes. Recent movement by Anna Hazare and support which it received showed a possible awakening in urban India’s voice. Though, political system of the country managed to curb the movement and proved to the people that the movement had the political intentions. India’s voting power will lie in the rural parts of the country at least in near future. Urban educated middle class does not come out and vote and that has led to such a situation. Urban middle class is in a serious transition phase and it will take some time before it actually wakes up to the reality. As the demographics of urban India change and as more and more educated people participate in India’s political activities, things would improve. Though, the pace of change would be painfully slow and will take its own time. Reading the news the last few months China and India seem to be interested in exploiting the commodities in Afghanistan. Is there really a common interest between India and China for such a project? Normally both this countries are competitors in these matters? How realistic is this project? Afghanistan is the newest geo-political battlefront in Asia. All countries want their own pie from the share. India has centuries old cultural ties with the country. Indian connections can easily be summarized by one instance that President Hamid Karzai has studied his political science from Himachal Pradesh University in northern India. India has remained a strong stake holder in development of Afghanistan. These relations were also very strong when Northern Alliance ruled parts of Afghanistan. But, since Taliban took over the reigns of the country, the influence of Pakistan has considerably increased, which is a matter of deep concern for India. High jacked Air India plane IC 814 was taken to Kandahar in 1999 which almost created a breakdown of relationship with Taliban controlled administration in Kabul. America’s invasion in Afghanistan brought a new ray of hope for Indo-Afghan relationship and India has played a matured role in supporting the rebuilding of Afghanistan. China on the other side has strong interest in central Asia. Central Asia serves as a large supplier to China’s energy demands. Russia does not seem to be having direct interest in Afghanistan as ugly memories of Soviet invasion are afresh on the minds of Moscow. China is using this opportunity and is actively participating in Afghanistan with the help of Pakistan, China’s trusted ally. From this background, one can understand that positions of India and China on the issue of Afghanistan are very different. India and China may cooperate in terms of technology transfer or few small partnerships, but the interest of both the countries directly collides in Afghanistan. India is not very happy with China continuously supporting and modernizing Pakistan’s military. China in past few years has taken side of Pakistan vocally much to the displeasure of India. Though, contemporary geo-political realities facing both the countries are very different. India is perceived as America’s associate in Beijing and for New Delhi, China supports Pakistan. On these basic premises, it is very difficult to expect any joint cooperation between both the countries in Afghanistan. Not only India is facing a labor problem. Also countries like China, Bangladesh, Cambodia, and Vietnam were facing massive strikes which partly lead to riots. Do you think that there is a network within these countries? I mean is there an indication that the governments but also the different organizations within the countries have a network over the borders regarding this issue? Interesting thing about the labor movements is that they are as much indigenous as they look networked. In my opinion, there is hardly any chance that these movements in different countries are connected. Yes, in countries having similar styles of governance (also otherwise), these labor movements tend to take inspirations from each other, but, saying that they are networked is little exaggeration. Practice and outcome sharing mechanism of the unions are getting increasingly advanced. So, modus operandi successfully applied by one union in one country, very easily get shared with other unions. We have seen this phenomenon across differnet public protets also (like anti-G8 and anti-globalisation). All trade unions today have their strong web presence by the mean of website and some of them also have their social network presence. Say for explample in India, the Trade Union movement is generally divided on political lines. All national trade unions are part of international trade confederation. Like Indian National Trade Union Congress (INTUC) is the trade union wing of the Indian National Congress. It was founded May 3, 1947, and is affiliated with the International Trade Union Confederation. So, INTUC often gets to share practices of International Trade Union Confederation. Centre of Indian Trade Unions (CITU) is a National level Trade Union politically attached to the Communist Party of India (Marxist). CITU functions as central unifying body for various smaller associations having similar objectives. The All-China Federation of Trade Unions (ACFTU), is the sole national trade union federation of China. The ACFTU is divided into 31 regional federations and 10 national industrial unions, the ones for aviation workers, bank workers etc. ACFTU member unions devise unified strategies to approach issues concerned to labor. The approach taken by various governments towards these strikes may vary substantially. As we have seen, Chinese government tries to restrict the protets while in country like India, where media is relatively vocal, these protests often get noticed. Labor movements in all mentioned countries have their own histories with different levels of maturiy and organization. Again, labor movements tend to be very geographically dominated. So, in this complex web of factors, it would be unjustified to generalise that they are connected across the borders. Is there any reason why this wave of strikes has started now only? Does it maybe have something to do with the worldwide economic crisis? There are numerous reasons why these strikes have started now. 2010-11 may be well remembered as the year of unrests and protests. Labor unrest tends to get stronger when country is going through a phase of high inflation. Workers protest when prices of essential commodities rise above their affordability and rise in their pay does not reflect the rise in prices of things which they use. If you notice, all mentioned economies are currently grappling with the issues of high inflation and rise in prices of essential commodities. The growth figures of these countries look very impressive, but, price rise takes away a lot of shine and the situation of poor does not improve. The situation has gone from bad to worst with various environmental disasters which have resulted in loss of crops. With open market trading of almost all commodities, the impact reaches the bottom of the society very quickly. This can be considered as one of the key reasons why strikes have started now in these economies. 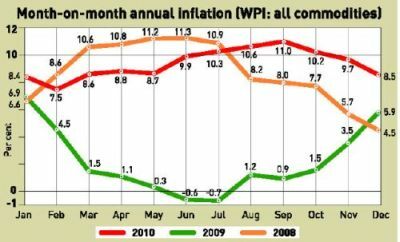 The figure clearly reflects that 2010 has seen sharpest increase in inflation in past three years. Along with rising inflation corporate earnings have largely remained stagnant. It clearly means that companies have not been able to convert the inflationary hike into the pay hikes. This has resulted in public outrage and protests across the country. Along with that, rising gap between rich and poor in almost all developing countries is another long term reason why labor movements are strengthened. India, China, Bangladesh, Vietnam all might be growing economies but the prosperity is limited to certain sections of the society and geographically concentrated (predominantly in cities). All these countries have large rural population which is disconnected with the rise of cities. Large migration from villages to cities with the hope of better standard of living often ends up creating urban slums with inhuman living standards. Such disillusioned migrants can very easily be convinced to enter into act of strike / lockout or protest. What do the governments do in order to get these strikes under control? Governments have different ways in which they handle the strikes. Incase of strikes by public employees; governments tend to negotiate with the unions and try and work out a win-win formula. In case of strikes led by private employees, governments are little slow in reacting. They usually wait and see the response of the companies and only after which enter into the negotiation when things are about to reach their boiling point. When the strikes reach that point, labor welfare / company affairs department of the government approaches the companies and seeks details on actions taken by the company to end the strike. In some cases government may directly appoint a representative to negotiate between the protesting employees and the organization. Here again, the type of government also makes significant difference. Governments having larger labor vote bank would be more proactive in actions. After wave of strikes in 2010 Chinese government strongly innerved and played a proactive role in the issue. All governments usually provide basic support to companies like increased security to the plant / offices when the protests are taking place. And especially how do the companies react on this? Do they give in the demands the strikers ask for or do they rather try to find location in other countries, where strikes are not being observed? Almost all companies have Industrial Relations (IR) departments which take care of such disputes. Most companies have elaborate mechanisms to deal with such situations. Companies do not give in to the demand of the labor. They very effectively negotiate with the striking employee representatives and come up with amicable solution. For such negotiations organizations have experts who have done such hard negotiations earlier. Just like any other negotiations, these negotiations also go into rounds and there is strong push and pull before coming to the optimal solution acceptable to both the parties. Companies have to come up with various compromises and formulas to make sure that win-win situation is created. In 2009 Sun Danyong, an employee of electronics manufacturer Foxconn Technology Group, in China committed suicide. Reports emerged of questionable labour practices at Foxconn factories,and a number of other suicides occurred in 2010. Foxconn announced it would increase wages in response to the deaths. In 2010 Hyundai Motors India faced a three days strike. As part of the settlement, Hyundai’s India unit agreed to review the dismissal of 35 of 67 sacked workers. Though, the settlement was reached after loss of production of 2,000 cars and had cost about 650 million rupees ($14 million) per day to the company. Most of the companies, once invested heavily, do not prefer to shift location based on such incidents. Such a move would result in substantial financial loss not to mention the loss of reputation in that region / country. Companies today make informed and long term investment decisions and once they invest in plant, machinery and other capital investments they try and be in the region as long as possible to make sure that planned return on investment is achieved. Again, business friendly governments also take proactive approach and try to solve the problem to make sure that investments stay within the region / country. Companies carefully evaluate their investment strategies periodically and incorporate the learning for their expansions. For example, Hyundai India in recent reports has indicated that they are interested in expanding their unit outside Tamilnadu in Gujarat. Constant labor problems faced by the company are considered as one of the key reasons for the move. Companies which want to invest in coastal regions of China due to cost saving reasons, have to face an increase of salaries and labor costs. Which regions/areas of China are being preferred by companies and why? Which problems are coming up due to the relocation of production facilities in neighboring countries (e.g. India sends migratory workers to China)? China’s industrial zones developed in the eastern coastal areas are still the preferred areas for investment. The key reason is the proximity to the ports and airports which reduce the cost of transport. Though, as you rightly said with the high growth witnessed by these areas, they have seen increased labor shortage. With the objective of promoting balanced regional growth, government is offering numerous incentives to companies interested in investing in central / other parts of China. Services sector which is not dependent on physical transport has invested heavily in central China. Relocation of facility again, as I discussed above in question 4, is a strategic long term decision. Currently China and India have their own advantages and markets. Both are very different countries with even more different business and social dynamics. So, companies can not substitute one investment with the other. Companies which go and invest in China go with the perspective of exploring local market as well as cost advantage. When it comes to India, sending migratory works to India (or vis a vis), it is still a long way to go. Yes, there are numerous Indian IT and Pharmaceutical companies which have invested in China, and they keep on sending supervisors and managers across the border but the number is very small and insignificant. As always, local labor availability drives the visa granting. Expecting such a cooperation between these two neighbors who have shared (and will continue to share) tensed relationship is too optimistic. The Indian government wants to sell several allotments of their state owned enterprises at the stock exchange. Approx. amount of 6 Billion USD. Why do the investors do react so reluctant. Where are the chances that the government in Delhi can sell these profitably? The founding fathers of India used the public sector as an essential and vibrant element in the building-up of India’s economy. One of the basic objectives of starting the public sector in India was to build infrastructure for economic development and rapid economic growth. Since their inception, public enterprises have played an important role in achieving the objective of economic growth with social justice. However economic compulsions, viz., deterioration of balance of payment position and increasing fiscal deficit led to adoption of a new approach towards the public sector in 1991. Disinvestment of public sector undertakings is one of the policy measures adopted by the government of India for providing financial discipline and improve the performance of this sector in tune with the new economic policy of Liberalisation, Privatisation and Globalisation, through the 1991 Industrial Policy Statement. The aims of disinvestments policy are: (i) raising of resources to meet fiscal deficit; (ii) encouraging wider public participation including that of workers; (iii) penetrating market discipline within public enterprises; and (iv) improving performance. Consecutive governments in India since 1991 have set their own targets of disinvestment with varied success rates. Disinvestment gained momentum during National Democratic Alliance (NDA led by Bharatiya Janata Party) ruled years. There were high expectations from Congree led United Progressive Alliance government to continue the disinvestment at the same speed as the father of liberalization policy in 1991 and then finance minister of the country was now at the helm of affairs. Though, the first term of the government could not produce desired results as the government was supported by left parties who were strongly opposed to the disinvestment. In 2008, the UPA government was reelected with higher margin for congress and congress party did not required support of left parties, which again created possibility of disinvestment to be back on track. In March 2010 government came up with a two year roadmap for disinvestment. Mr. Mitra, who took charge as disinvestment secretary in July this year, said his department had identified 61 Central PSUs for disinvestment based on their performance in 2007-08. Though, the government is facing number of challenges. Response to past disinvestment initiatives have largely remained lukewarm. India’s recent history of big public-sector offers — both initial public offerings (IPOs) like Coal India’s and follow-on public offerings (FPOs) like the Steel Authority’s — has involved the significant participation of another government organization, the Life Insurance Corporation of India (LIC). In the US$2.2 billion follow-on offer of NMDC (formerly known as National Mineral Development Corp.), LIC saved the day. While high-net-worth individuals and retail investors bid for only about a fifth of their allotments and the interest of foreign institutional investors was nominal, LIC bid more than US$1.5 billion. The issue, which closed March 12, was subscribed 1.4 times. In early February, LIC pumped in US$950 million in the US$1.9 billion IPO of electricity generator NTPC. Critics question whether the exercise can truly be called disinvestment. Though, government strongly denies the allegation says that LIC has its own investment decision mechanism which is untouched by government. Another major criticism faced by the government is that government tends to be extremely greedy and over prices the issues to get maximum leverage. This is evident from the fact that few of government’s last IPOs have opened at discount. This takes the interest of the opportunistic investor away. Apart from this fact, government also faces larger challenge of investor’s being more selective in their investment decisions which are turning out to be a global phenomenon. According to The Wall Street Journal, “despite a bullish outlook for Brazil’s economy, local companies are running an obstacle course when it comes to IPOs.” But in Brazil, the government budget doesn’t hang in the balance. In India, the finance minister is using disinvestment to balance his books. He has received a pat on the back from Standard & Poor’s, which has raised its outlook for India to stable. But that outlook could easily be reversed if the disinvestment plans — and the fiscal deficit — don’t meet targets. Government has very recently (June 2010) decided to disinvest additional 10% stake in Coal India Ltd. and Hindustan Copper by going to open market. In coming days it would be clear whether government has learnt from its mistakes. It would also be clear whether it has been able to fulfill the expectation of all the stake holders and get the targeted revenue out of the process! Often referred as red terror or a modern insurgency, armed struggle of naxals have become India’s largest internal security threat in recent years. The April 6, 2010, ambush in Chhattisgarh state, killing 76 members of the Central Reserve Police Force, marks the deadliest attack upon Indian security forces since the foundation of the “Naxalite” movement. It is estimated that India has lost almost 6,000 lives in last 20 years of conflict. Formed from a 1967 split within the Communist Party of India (Marxist), the insurgency has been responsible for decades of violence throughout eastern and central India’s “Red Corridor.” These loosely affiliated Maoist rebels claim to fight on behalf of the landless poor, virulently opposing the injustice and oppression of the Indian state. In response to attacks on police officers, government officials, and landlords, India has employed an assortment of counterinsurgency strategies that, over the years, have met varied levels of success. As the modern Naxalite movement continues to develop, the Indian government faces new complications related to one of its most destabilizing internal security challenges. Adequately addressing this threat will prove essential in solidifying India’s status as a rising world power, as well as demonstrating its capacity to effectively combat militancy. The Naxalites claim to operate in 182 districts in India, mainly in the states of Jharkhand, Bihar, Andhra Pradesh, Chhattisgarh, Madhya Pradesh, Maharashtra and West Bengal. The area affected by Naxalism stretches from the border with Nepal to Karnataka in the South (2006). In West Bengal areas west of Howrah are affected by the insurgency. Chhattisgarh is the epicentre of the conflict. Very interestingly, till now there are no attacks on corporations by naxalites and major targets have remained security forces and the government establishment. But worsening security situation in number of states is indeed creating lot of concerns in the minds of private investors. The areas hit by naxals are some of the poorest parts of the country and lack of development is attributed as one of the key reasons why naxals have gained strength in the area. India’s fastest growing areas are still not under naxal radar but there are fears that the way in which naxal attacks have gained strength and the way they have become more and more organized, they may anytime target Indian cities. Under the guidance of Home Minister P. Chidambaram, India has begun to embrace an unprecedented commitment toward addressing this threat. At the end of 2009, India launched a counteroffensive that called for the deployment of more than 50,000 paramilitary soldiers to the regions most affected by the insurgency’s increased violence. In previous years, the Indian government tacitly supported the failed efforts of locally operated militias, such as the Salwa Judum in the state of Chhattisgarh. Chidambaram’s action instead draws a combined force from the Central Reserve Police Force (CRPF), Indo-Tibetan Border Police, Border Security Force, Sashastra Seema Bal, Commando Battalion for Resolute Action (CoBRA) and the Nagaland Armed Police. Deemed “Operation Green Hunt,” the counteroffensive includes the use of helicopters and drones with aerial strike capabilities that can provide support to the land forces. To date, the results of the operation have had varying levels of success. While at times the intensified military and police involvement has led to Naxalite calls for peace talks, other instances have led to reprisal attacks by insurgent groups. The government in its recent decision has decided not to use army or air force against the naxals and this may turn counterproductive. Government has come up with various schemes to promote investment in the regions affected by naxals and government itself has invested heavily in the affected areas. This has created better employment opportunity in the region and new recruitment in the movement has decided to an extent. Though, larger private participation in investment in the region would only happen when government is able to reassure private investors that things are in its control and it’s as safe to invest in naxal affected area as that of any other part of the country. Which are the boom branches in India, which are going to have a positive impact on the economical growth? Which companies will come to India? This is one of the most difficult question I often face. In a country growing at an annual pace of 9% it is very difficult to differentiate between the sectors which are going to grow faster and not so fast. India has impressed investors with sustained growth over the last decade and will continue to grow at a rapid speed over the next few years. Across India’s growth stroy there has been industries which have seen its best days. Telecommunication service providers before few years considered India as the most lucrative market but today the dynamics have changed and it is turning out as one of the world’s most fiercely competitive markets. Sunil Bharti Mittal, CEO of India’s largest private mobile service provider Bharti Airtel Ltd. recently said in an interview that there is little value in India market now and as part of its diversification Airtel has acquired controling stake in African service provider Zain Telecom. India has attained leadership position in IT and biotechnology capabilities and government is consistently promoting both the industries. India’s demographic advantage and large and competitively priced talent pool adds to its competitive advantage in the domains. Tier II and III cities in India have a huge potential for investments in the emerging outsourcing market, IT, off shoring and Retail and Real Estate development areas. With a GDP growth expected to trail at 8% over this decade, India stands to benefit from the rapid development of these emerging economic sectors. With most companies trooping to invest in the tier one and two cities, major development is expected in these cities. While the world may recognize India for its IT and biotechnology capabilities, there are other sectors of interest to small to medium entrepreneurs which have made impressive strides in the last few years. Emerging sectors for investment in India include the service industry, property and real estate, medical, tourism, biotechnology, IT and home furnishing. The growth of the India economy has led to the emergence of new and emerging services and strengthened the existing ones. This rise and growth of the new emerging sectors has been possible thanks to the rise in consumerism and new opportunities. India’s reputation as a global health care destination is growing steadily thanks to rapid advances in medical research and huge private sector investments in infrastructure. It has leveraged its advantage of enthralling landscapes and rich cultural heritage and its health care infrastructure to emerge as a leading medical tourism destination. Current earnings are about $820 million but these are estimated to reach $1.8 by 2012. Many corporate health care chains have already started developing facilities to cater exclusively to these patients. The presence of an efficient and trust worthy agency to link the patients and the institutions can help tap the full potential of medical tourism. India enjoys favorable demographics – with over 55% of its population less than 25 years old – and also provides a significant cost advantage to corporations looking for highly skilled labor. However, the educational infrastructure of the past hasn’t been able to cope with this demand. Lack of investments has resulted in lower availability of seats and training equipment. In addition, statistics reveal that only a fraction of students graduating every year are actually deemed ’employable’ by the industry. But all this is about to change as private capital flows into the education and training sector. Many listed companies have already shown great returns and are going steady due to strong fundamentals. Finishing schools, IT training centers, vocational training centers and even institutes of higher education are being set up to ensure a steady supply of quality work force. The only pre requisite is quality. India is the world’s largest producer of food after China. With increasing impetus by the government on research, it is estimated that India’s food production is likely to double in the next decade. This opens up huge opportunities in food processing areas like canning, packaging, frozen food and thermo processing. It is currently a US$ 70 billion industry and has registered a growth of 13.7% over the last four years with the target set at 20% by 2015. The government is currently setting up 30 ‘mega food parks’ in 5 states which will exclusively cater to the food processing industry and also provides many sops and incentives. Despite being one of the largest producers of food, only 1.3% of food gets processed in India while nearly 80% is processed in the developed world. In this context, there are massive opportunities for export oriented food processing industries for medium scale entrepreneurs. Similarly, food chain and restaurant business are also interesting opportunities. The success rate is quite high if restaurants lay enough emphasis on quality and sensitivity to local tastes. Favorable factors like lower average age, higher levels of disposable income and increasing working couples have contributed to the success of these ventures. Apart from these there are number of untapped areas like agriculture but in these areas government restrictions and Foreign Direct Investment rules are not very favorable. Though, companies having longer vision for India can definitely come up with joint ventures to exploit the market best when they are opened. With this entire positive note, let me add a word of caution that Indian market has huge potential but requires all together a different mindset to do business and organizations interested in doing business in India need to learn about Indian culture, diversities, dynamics and value system to gain maximum leverage of the market. It is definitely one of the world’s best markets to do business if you can align your business model as per the requirements of the Indian market.